Imagine riding a bike with auxiliary power to scoot you over the hills? Well, I now reside in a very hilly community and it has hindered my bike riding significantly. In the recent past, I have spent more time thinking about how to get back home from a ride … than actually riding. Fast forward to my introduction to PEDEGO ELECTRIC BIKES! My mind immediately expanded to the endless new possibilities. My first ride out on the bike trails, I could not stop smiling. I ride through this area all the time, but somehow on the bike trails it is just different. So freeing! It reminded me of years ago—-out exploring on my bike, and discovering brand new places with my friends. Once aboard a Pedego, I really was excited and my mind was instantly racing about where I could take this revved up bundle of fun. I was surprised to learn they can go as fast as 20 mph (20 is the legal limit, mind you) and at a moment’s notice I could get the assistance I needed when going up an incline. In other words—it gets me out there riding. This is my new-found “Vehicle of Fun”! I have a link for specs and particulars below (for all the geeks in the room), but as a lady who just likes to “keep it simple”—- here is how I have simplified the many options and styles. Style wise, there is the Comfort Cruiser a Step Thru (with a lower bar in the middle). We used to call that a “girl’s bike” but the benefit has now expanded to those with limited mobility, the Interceptor (both step thru and with bar), City Commuters, and Trail Trackers with the wider, fatty wheels. What about noise? A specially designed motor is on hand. All Cruisers come with a throttle-activated motor, putting the rider in complete command. The rider can pedal, or twist the throttle to use the motor and not pedal at all (or any combination of throttle and pedaling). It’s the rider’s choice how hard to work on any ride, and no matter how much you throttle the motor remains whisper quiet. They have just thought of everything, haven’t they? There are two saddle bags which are add-on’s, for those wanting to carry light packages home on their bike. For those wanting to tug things, they offer a custom trailer for surfboards and even for carting children. (And for towing super-heavy items, there are even bigger tires for towing of larger objects.) They even have a tandem bike, which I cannot even fathom. If you are married, you know you will want to go right and your partner will want to go left. Am I right? Of course I am! Solo for me! So, I just had to go meet the founders of this company, since it is a local company here in Irvine. I felt like I was in the back lot of Disneyland, as various Pedego bikes paraded past us as we chatted and got familiar with the bikes. The staff was seen scooting from one building to the next—waving as they flew past. I saw experimental bikes that were so cool, but I am sworn to secrecy until they are unveiled. The two owners, Don DiCostanzo and Terry Sherry are baby boomers who have known each other since high school. These two roomed together in college, and their “college pranks” have evolved into a wonderful working relationship as adults. Their strengths complement each other so well, and I always find that is a key to a long-lasting partnership. Don lives the innovation side, and Terry offers the technical expertise. Perfect! Don had lived on a gigantic hill and had been purchasing electric bikes for years. Disappointed with the quality, he set out to build a better mouse trap and enlisted his buddy Terry. Needless to say, in 2009 Pedego was born, and the loyal following has ensued. As it grows organically, the store owners seem to seek out the Pedego company. The retail stores provide: sales, rentals, tours special events, exceptional service and a complete workshop in some locations. Currently they have 21 store locations in California and are in 40 countries! Below are the closest in this area. Customers can purchase, but can also rent the bikes. This is a great way to get introduced to riding one, and seeing how it feels. 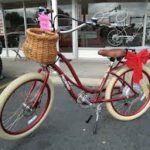 The retail store owners are passionate about the brand, and in all cases, the owners came to Pedego to inquire about owning a store location. Don and Terry prefer this, method of growing the company organically, and partnering with those who are as in sync as they are about the brand, products—and the fun! In fact, much of the customization requested by customers is completed on-site, right there in the stores. 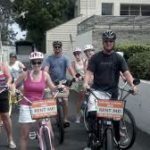 Here are just a few “thought starters” as to how you can use a Pedego in your everyday life…. Getting Started- Here are five ways to obtain mapping routes to make your outing an enjoyable one. Keep in mind that planning the day is half the fun! 1) Using Google Maps, there is a tab just under the browser that can be selected for “Bike Routes” vs. car or walking. Click on that for a specific map and then you can print that to take with you. 2) Map My Ride App– This is a free app, and you can program multiple routes and then download them to your phone. 3) Pedego App- This will be coming out in February, 2015. StayTuned! 4) Books on Bike Trails– There are so many books that are available for a given market with off road, trails and bike paths denoted. 5) Maps At Retail Pedego Stores– Each store has maps and routes in their local area that are bike friendly. For me, it is all about the fun and exploring new places. I cannot wait to map my next outing and get out to enjoy this fantastic Southern California weather. I hope you will join me in giving this a whirl. It really is more fun than I have had in a long time. I just purchased a basket so I can take my doggie Riley along with us! Life is short. Have fun along the way! Want to kick off the New Year and have some fun! 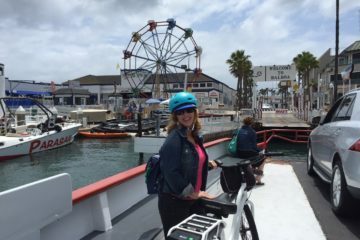 How about cruising around on a self-guided tour of Newport Beach and seeing the sites … the ocean, beaches, harbor, homes, Peninsula, Back Bay? What better way to spend a sunny Southern California day? If you can ride a bike … then you can cruise in style on a Pedego Electric Bike. Just purchase a $50 all-day Pedego Electric Bike rental, and get the second all-day rental FREE. Both rentals must be taken same time. No other discounts apply. Must be 16 and over to ride and 18 and over to rent with valid credit card and driver’s license. Please call for reservations. Based on availability. Expires February 28, 2015. 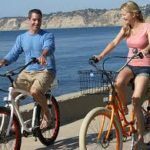 Pedego Corona del Mar has maps and can provide some fun routes. They also do guided tours for 203 hours. 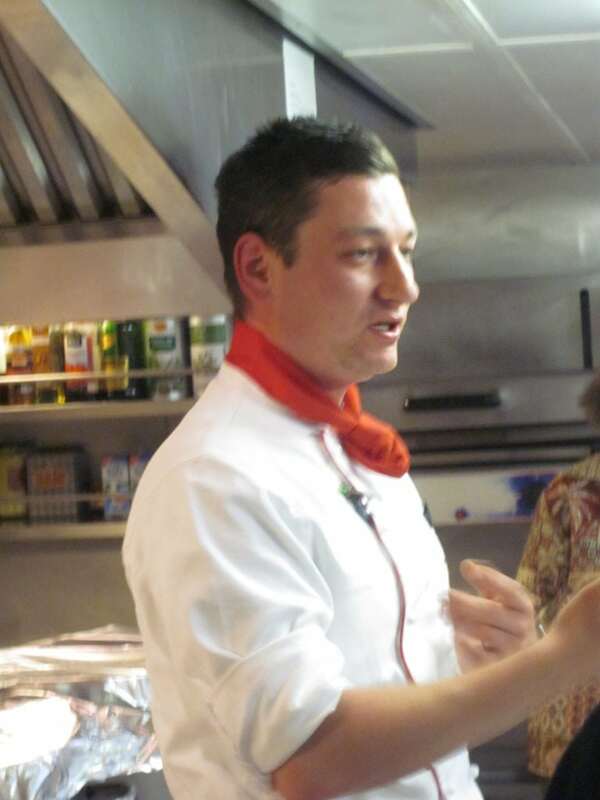 Guests can ask about arranging that if desired. 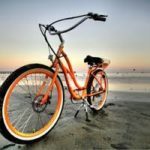 – Pedego®Tune Service Program- Our exclusive program, designed around our peninsula’s harsh environment, is sure to keep your Pedego rolling smoothly. –Accessories- A free SR Suntour Suspension Seatpost upgrade ($140 Value)—the Ultimate for a plush ride, or a free Accessories ($100 Value). –Test ride and Apply– Apply any rental cost to the purchase of any Pedego (up to $70 value). Because finding the right model that fits your needs is priority #1. -Bike Rental: buy one bike rental and receive a second one for free—from 1 hr. to all day! 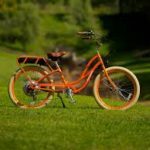 –Repairs Made Easy– Pedego Irvine has a complete workshop for making repairs and customizing bikes. 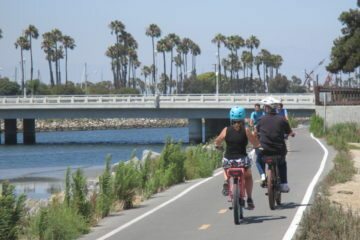 –Irvine Bike Trail Tours & Pedal and Pub Rides– Launching in early February, they will be leading fun bike tours. Check the web site! 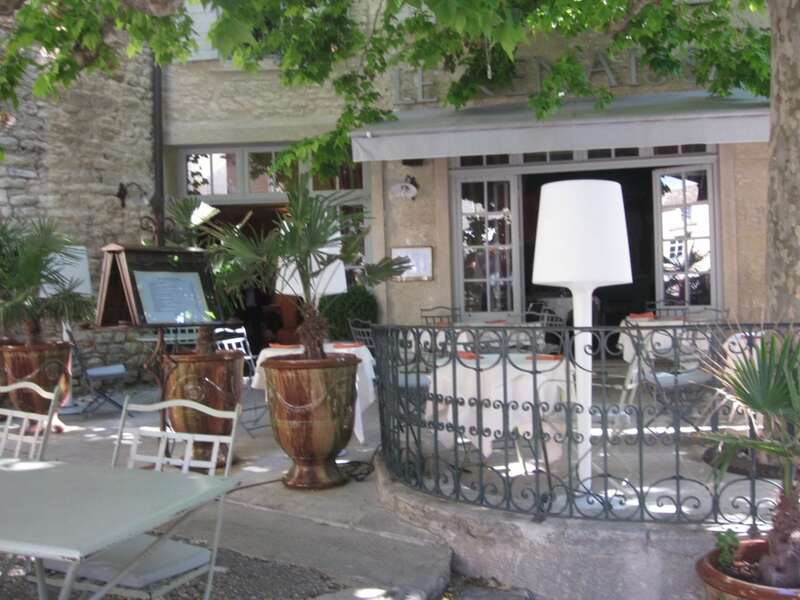 –Conference Room & Pub/Wine Bar– For corporate events & teambuilding this is a perfect spot. 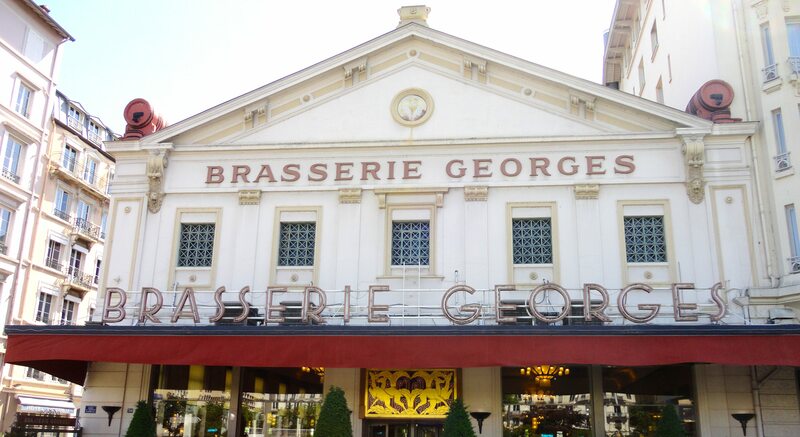 Could start with a ride and end up here, or for an evening event. They have an upstairs facility for group rental for: evening wine/beer events, corporate team building, social events and parties. It has a pub and wine bar, and audio/visual capabilities in the conference room. 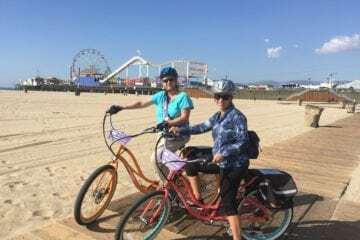 –Silver Spin Ride on Tuesdays– Join Pedego Greater Long Beach (in Seal Beach) for their free weekly “Silver Spin” ride for seniors and friends- Tuesdays from 10:15-11:30am. A free continental breakfast and ride. –Two Year Anniversary Party- February 7th, 2015 (Saturday) at 2:00pm- Will include refreshments, games and a free POG ride. Details will be posted on our web site!